Exercise for women is a heavily-laden social and embodied experience. While exercise promotion has become an increasingly visible part of health campaigns, obesity among women is rising, and studies indicate that women are generally less physically active than men. Women's (lack of) exercise, therefore, has become a public concern, and physiological and psychological research has attempted to develop more effective exercise programs aimed at women. Yet women have a complex relationship with embodiment and physical activity that is difficult for quantitative scientific approaches to explore. This book addresses this neglect by providing a much-needed feminist, qualitative social analysis of women and exercise. The contributors, drawn from across Europe and North America, investigate the ways women experience exercise within the context of the global fitness industry. 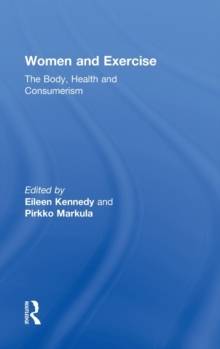 All the authors take a specifically feminist perspective in their analysis of the fit, feminine body, exploring media images and the global branding of fitness products, the relationship between exercise and fat, the construction of physical activity within health discourse, and the lived experience of the exercising body. The collection explores the diversity of women's experiences of exercise in relation to age, ethnicity and body size.